According to the Quezon City Police District (QCPD), the crime rates of Quezon City have dramatically dropped by almost 50%. Crimes focused on murder, homicide, robbery, motorcycle and car theft, physical injury and actual theft. The crime data was compared between the dates of November 2014-June 2016 and July 16-February 2018. In other words, the crime data that was compared between the administrations of former President Benigno Aquino III and President Rodrigo Duterte. In Quezon City, during the Aquino administration, 17,305 cases of crime were recorded while on the other hand, a lesser totality of recorded crimes which is specifically 9,562 were committed during the Duterte administration. And despite the alleged vigilante killings during the Duterte Administration, the number of cases of murder incidents still is lower compared to the numbers of the Aquino Administration. Yet endless accusations against the local law enforcements continue. With the legitimate defense of the PNP being that if they were shot at first, they have every right to return fire. 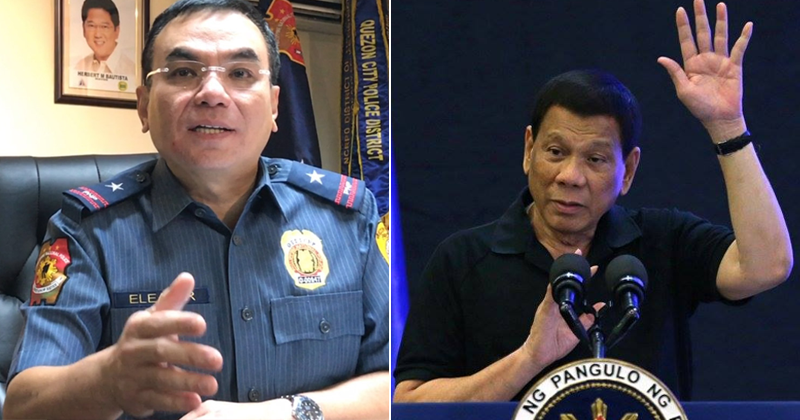 Clearly Duterte’s endeavors to make the Philippines better paid off with a 44.2 percent drop of crime rates based on QCPD Director Chief Superintendent Guillermo Eleazar’s statement.